Throne Kingdom at War - true medieval battles! 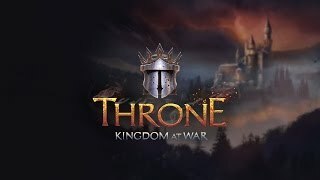 Game Throne Kingdom at War: Become a Great Lord. In the market of gaming products, new offers appear every now and then. An experienced gamer can easily distinguish a dummy from an interesting fun, and the high rating, which is demonstrated by the game Kingdom at War, says that it contains all those qualities that are appreciated by strategy lovers. The first thing that especially pleases virtual warriors is the ability to play on computers and mobile devices in Throne Kingdom at War. And since the browser is a toy, you can enter it through a social network. Before you classic example of a multiplayer strategy with elements of fantasy. There are enemies and friends, as well as a kingdom that needs to be developed and defended. It all starts small, but gradually the lands handed to you should develop into a strong state with a powerful army and a sustainable economy. There are plenty of enemies around, and therefore attacks from their side will be frequent. To this end, I exist friends, or rather, friendly nations with which alliances are to be created. Together, it is easier and more reliable to repel the attacks of those who do not share your views on good neighborly relations. Consisting of a large group of like-minded people, you will also explore the land, fight monsters. Playing the game Throne Kingdom at War, communicating with real people, is not only more interesting, but also more useful. You are guaranteed support and assistance in the form of resources and military assistance. Ask them for advice, but do not forget that they are waiting for similar retaliatory moves from you. You find yourself in a colorful medieval world, where there is no modern technology, but there is magic and sharp blades. Become part of this reality will help Throne Kingdom at War registration, which does not require complex manipulations. Staff part of iPlayer Throne Kingdom at War, to be kept abreast of progress. This means that in addition to military campaigns, you will have to constantly build and improve something. As it is known that the settlement was viable, residents need houses, taverns, shops. Soldiers need barracks and training grounds. And for the city needed warehouses, forges, sawmills, mines. When mining coal, wood, stone and other minerals, do not forget that the higher the level of the mines, the more precious raw materials they will bring. The same applies to other enterprises, they extract the source material or produce goods. V gaming workshops are all interconnected, and therefore try to pay attention to all industries in a timely and uniform manner. If there are few houses or they do not correspond to the level of life of citizens, there will be no one to work, and this will affect the lack of food, clothing and weapons. Do not forget to pump and warriors, sending them to the tasks. The choice of quests is great, and you can choose any, having studied the conditions and the size of the reward. Choose the ones that correspond to the level of your hero's leveling, so that his strength is enough for a campaign and a battle with the enemy. 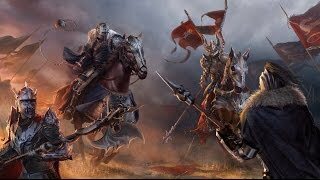 The Game of Throne Kingdoms War is constantly being improved, new additions appear, so you won't be bored. By joining the players, you will become a part of their close-knit family, and soon get your first task after a little training.